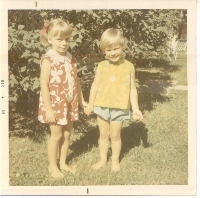 Todays picture of the day is My wife Linda on the left and her sister Cyndi on the right from the summer of 1969. "33. Isn’t it a bit unnerving that doctors call what they do “practice”?"